The answer? More of the right people seeing your stuff. And how do you do that? Getting featured by the media. You’re frustrated because you have colleagues who’ve had publicity and you’ve been in business longer. And maybe you’re better. You have no idea how to do it yourself, and hiring a PR expert or firm is tens of thousands of dollars. So you wait and do nothing, and more time passes without more clients or more money. And that’s the number one reason businesses fail: lack of revenue from lack of being seen. 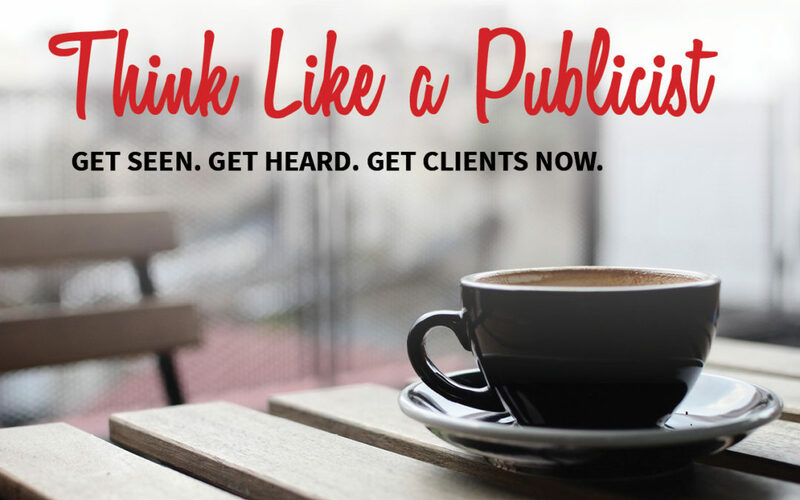 You have to know how to get on the media’s radar, which is why I created my live PR course, Think Like a Publicist. Over the eight weeks we spend together, you will have a weekly LIVE PR lesson with homework that is PROVEN to get your business more publicity. This is NOT a DIY course. This is several weeks of hands-on, live learning with everything you need to know to go out and get real, legit media attention with incentives to actually complete this course so that you end up in the magazine/podcast/blog/show from your bucket list. If you’re ready to be seen, be heard and get more clients, learn more here. And if you register within the next 24 hours, you’ll get a special bonus of $300 off. Go here now.